I’m going to say it now, just so we’re clear, out of all of the music festivals I have attended (and there has been more than I’d care to admit) Electric Picnic is my favourite – particularly because it prides itself on being the standard at which all other festivals strive to achieve. It isn’t simply a music festival, there’s arts, crafts, food, there’s face painting, frankly, I don’t think you could expect more. The setup is fantastic, it’s incredibly well organised and is just a pleasure to be at, regardless of any threat from the Irish weather. I think the versatility of music and arts is what makes it such a great experience from anyone of any age. Considering that I arrived far too early for my own good, I was able to sit at the Salty Dog stage and enjoy a bit of lunch whilst enjoying the musical humours of the Camembert Quartet. If you’re not familiar with them and you like your music to have a humorous edge (think an Irish version of Flight of the Conchords) then you’ll see the instant attraction of their performances. They can take any classic song and just infuse it with their own quick wit and style; it was really a fantastic way for me to start off my day, which only continued to improve as it progressed. The fact that smaller, under appreciated bands are getting their own sets during the day, performing to the hungry masses, gives them a chance to enjoy the limelight that other musical events could simply provide, the far-reaching brilliance of Electric Picnic is this in itself, there is something for everyone, be the musician or music-lover. Around 5pm the weather seemed to sense that fans were willing to emerge from their tents in their thousands just to catch an intimate glimpse of their favourite acts. TVVINS and the Strypes were the first to warm up the crowd at the main stage. 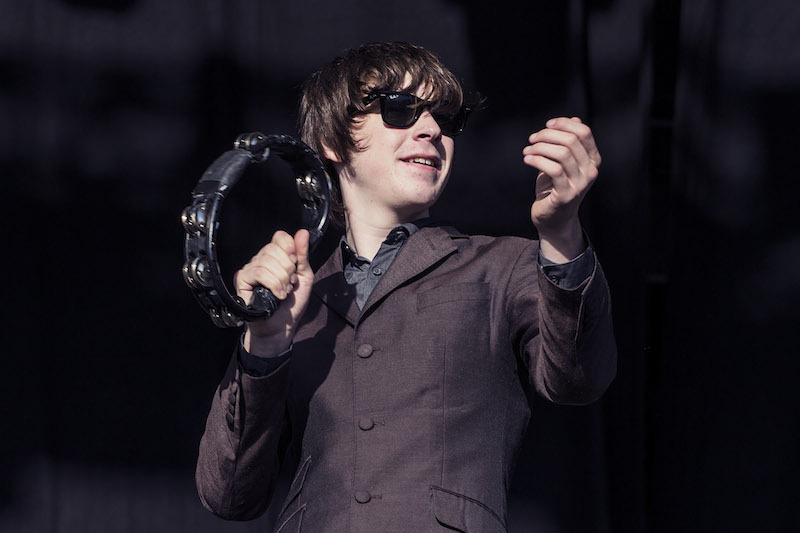 The Strypes were the more fortunate of the two, enjoying a warm burst of sunshine as they flurried through their set. An unsurprisingly large number of fans crowded the stage to see the Cavan boys rock out, and boy, do they rock. With all the charisma and charm of an English indie rock group but the music prowess of well-seasoned performers, they showed what they lack in years they more than make up for in sheer musical passion. Hopping from foot to foot, with harmonica in hand, their lead singer, Ross Farrelly, shimmed in time with his band mates’ performances. Never once, did his energy waver and as they belted through their hits, they seemed to be a band at ease with performing to such a loud crowd. This brilliant and powerful stage presence makes it easy to see why Sir Elton John would sign them to his music label. The screech of guitar was the perfect start to the wave of brilliant artists that will be taking stage at EP this weekend. They performed their top hits like “Hard to Say No” and “You Can’t Judge a Book by the Cover”, and the crowd just lost their minds to it. It’s easy to see how they’ve become so big abroad and even more impressive to see how down to earth they remain. One can only predict that they’ll be the headliners at Electric Picnics and festivals further afield in a few years’ time. After their Q&A at the Hot Press tent, Blondie seemed excited to cement their title as one of the most influential bands, and emphasize that this title is as relative as ever. Debbie Harry’s voice is as crisp and sonorous, if you closed your eyes you would easily believe it was one of her earlier performances- an enthusiasm swelled in her voice. It’s really amazing to see and hear the same spine tingling timbre to her voice that there was when she first started. 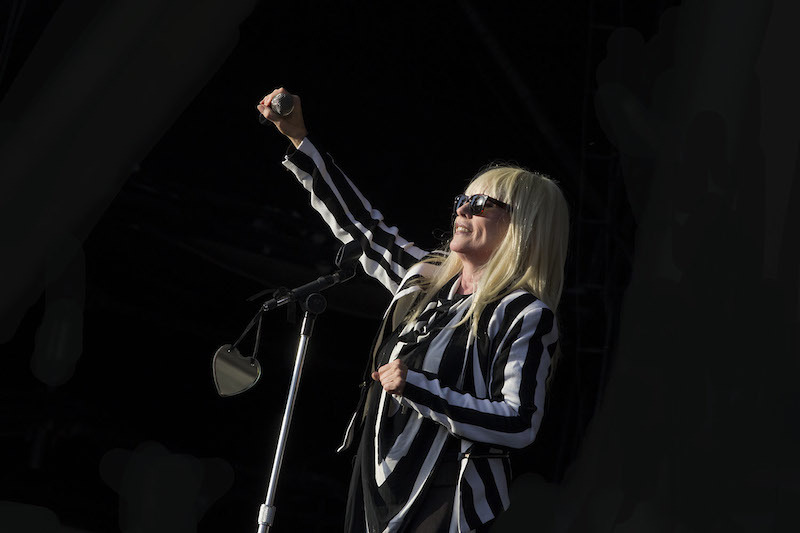 The band really didn’t let age or time interfere with their performance; in a black and white suit, Debbie eagerly hopped up and down with her eager fans as they took on such classics as “Call Me” and “Maria”. Honestly, I think “Atomic” was the most charged song, the guitar solos, the hand banging, Harry just chanting at the crowd and encouragingly waving her hands, the atmosphere was electric. I can’t lie. I was impressed to see just how many people, you and old, were capable of singing along. Blondie is a timeless classic, their sound is just effortless and their old and new tracks meld together perfectly. Their consistency as a live act never faltered once, and Harry’s voice never wavered despite the growing coldness in the air, nor did fans’ spirits ever fall below the charged expectations that have come to be associated with such a band. Foals were one of the bands I was most avidly looking forward to, I’ve been a massive fan of them for some time and it’s great to see them finally getting a main stage slot. 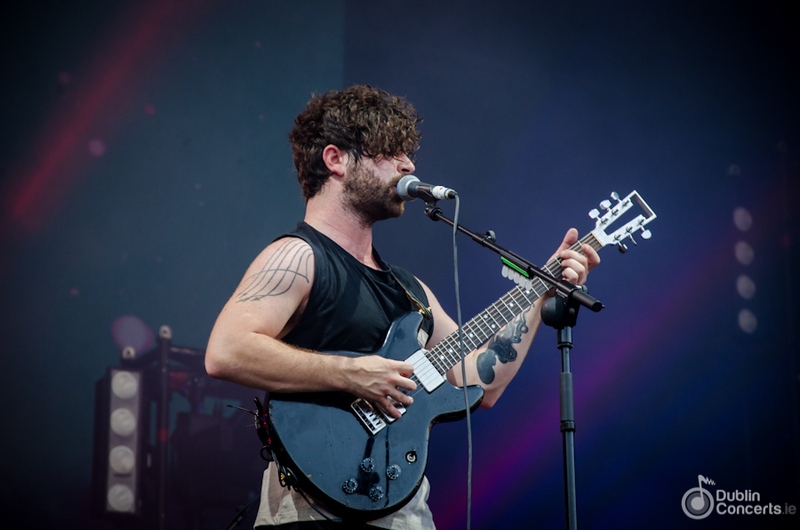 Being the follow-up act to Blondie would be intimidating for many but Foals certainly took it in their stride. The clamour of their set could be heard throughout the grounds of Electric Picnic, even as far as the campsite. They certainly know how to make an entrance, opening with no personal introduction, allowing their music to speak for them instead them played a five-minute, guitar heavy rift. Their set was organised in a manner that would make an outside think that an electro-heavy band was playing, but the green and white stage lights and smoke that billowed from the stage simply set the scene for the musical journey that Foals take their fans on. The audience practically sizzled with eager delight as they burst into their first track, which was “Miami”, a drum heavy track from their second album. Song after song was a classic, even the newer songs from their third studio album seemed to be eagerly consumed by the ears of music goers. It not only demonstrated their wide range of songs but also was a hat tip to avid fans that have cherished and supported their music from the onset. The sonorous tones of their lead singer are almost warming to the ear, his accent so delightfully rich that it’s even more impressive live. The fact that there were as many bands out in support of them as there had been for their predecessors, Blondie and The Strypes, demonstrates how the palette of Electric Picnic has grown just as much as the popularity of the festival has. They played their classics in a manner that made it clear that they meant it when they said “Ireland is one of [their] favourites”. The ease with which they played further emphasised why they had been honoured with such a prestigious time slot on the main stage; they can handle it, they have the following, and they have a sound that will draw you in even if you’re not a fan. Words cannot do not do the palpable feeling of excitement as they burst through their set like eager beginners, that passion and optimism humming through their vocals and instruments, the audience ate it up. 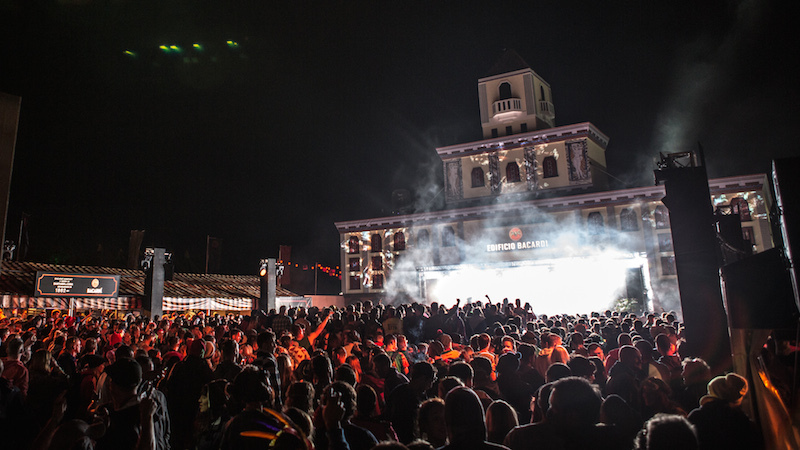 In possibly the coolest of stages, Casa Bacardi, which was styled to look more like a classic Italian or Spanish house than an actual stage, Dimitri from Paris, rocked the ears of the dance lovers at Electric Picnic. He has a catchy way with his mixes, you almost can’t help but dance (I don’t have a dancing bone in my body, let alone an ounce of rhythm) and still I found myself caught in the easy sway of the crowd. He was definitely a more mellow way to end the night, his chilled vibe seemed to ease everyone into the end of the first day at Electric Picnic; definitely a firm favourite with those into dance anthems. The arena was almost bursting at the seams with eager music-lovers attempting to sway to the front and catch a glimpse of the DJ. Overall, a very successful first day at Electric Picnic, rain or sun it can only get better from here.